Konjac sponges - they're mad looking but we love them! Continuing on with Operation Ditch The Make Up Wipes, there's a new kid on the block in the cleansing department that I'm here to tell you about and will make you want to ditch the wipes forever and that is this lil' puddin'! What you're looking at is a little Konjac Sponge and his name is Henry. I totally gave him a name after deciding he's a he and Henry and I are getting on fabulously. Konjac is actually a plant native to Asia but don't eat it. That'd be weird. Eating the thing that cleans your face and all. Full of vitamins, protein, carbohydrates, iron, phosphorus and other bits and bobs, I couldn't wait to see what it felt like to clean my face with a vegetable. It's about the size of a tennis ball chopped in half and has a lovely squidgy texture. It has a little string to hang it up to dry when it's not in use and can dry out a bit if not used for a while. All you have to do is soak it in a bit of water and it's good to go again. I was sent a Konjac sponge with French Green Clay for my normal to oily skin and Joanne was sent one with French Red Clay for her dry and sensitive skin. There's also one with French Pink Clay for tired & devitalised skin, a pure sponge with nothing added to it and one with added bamboo charcoal for skin prone to outbreaks. I got stuck into using my sponge right away and like to use it on it's own with just water first thing in the morning. In the evening I like to use a teeny bit of cleanser and you really need the smallest amount so it'll save you money that way. Using circular motions, I go over my face and neck and it gently cleanses and exfoliates the skin leaving it looking brighter and more plump! I had to encourage (bully) Joanne into using hers. She's weird when it comes to cleansing her skin properly as it's so flaky and sensitive, but I assured her all would be well (while crossing my fingers behind my back because I didn't know how her visage would react!) I needn't have worried because she absolutely loves using it and has been cleansing twice a day with it. Usually her face would be left red and almost raw after cleansing like that but she's just left with smooth, flake free skin. That and a miracle moisturiser that I've encouraged (bullied) her into using has changed her skin dramatically over the past couple of weeks and she has moi to thank for it and do you think I'm going to let her forget it?! This is one of my favourite finds of the year so far ladies and I think everyone should give it a go! I love them so much that I'll be buying some for an upcoming giveaway and I guarantee you'll love them! 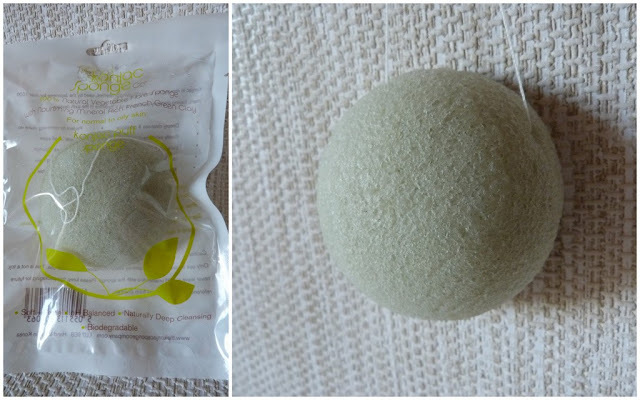 You can buy yourself your very own Konjac sponge on Misebeauty.com or on beautyemporium.ie for around €8 each and I will be stocking up on them when my one dies a death. I should get about three months out of my sponge as I'm taking good care of him. 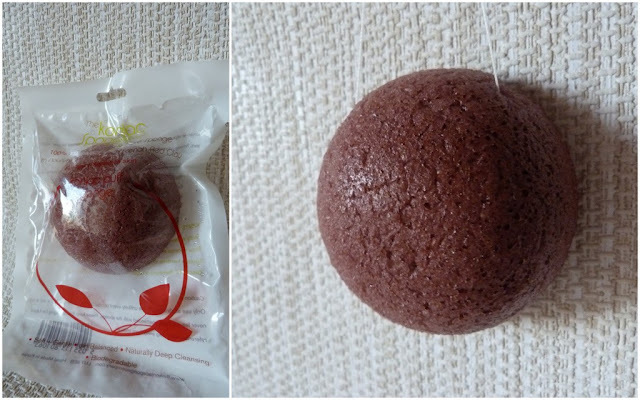 Konjac sponges definitely get the Lovely Girlie Seal Of Approval! I stumbled across these one day when having a browse in Mise Beauty in Dundalk. Flippin love them Used mine religiously since. They truly are fantastic. Who'd have thought we'd all love a lil fella like this one! Deffo give them a go and enjoy the bizarreness of it all! oooh wow I'm intrigued. even though the red one looks like a cake ball and made me feel a bit hungry :-) I'm always up for trying stuff that'll make my skin better. Absolutely love mine, agree with you wholeheartedly too - one of the finds of the year so far! Hi! I used the one with charcoal for acne prone skin and loved it. So much love for the wee Konjac sponge! If you do pick one up, come back and let me know how you get on with it, but I already know you're going to say you loved it! !